How does the theme's CSS file work? 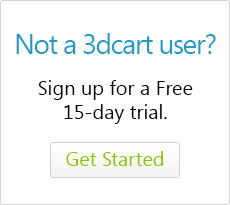 Your 3dcart theme - the coloring scheme and basic look and feel - is dictated by both the frame.html page template and your theme folder's Cascading Style Sheet (CSS) file. Generally speaking, the frame.html acts as the blueprint for the layout of elements, while the CSS file acts as the color and formatting instructions for those elements. This article will help to explain CSS in some depth. 3. Look towards the upper right of the page and click "Edit Look/Colors (CSS)"
This button will take you to the store's CSS file allowing you to see the individual elements that can be changed. We include both a semi-graphical user interface for editing individual elements, as well as an advanced option to edit the raw CSS file. Also, remember to clear your store's cache after editing the CSS file to ensure you are seeing the correct updates! A CSS file can be created which dictates all of these coloring and formatting instructions. Each element would have it's own unique name. For example, header price, description, add to cart, these can all be designated as their own individual CSS elements.